Posted on April 15, 2018 by Dave wrote in Blog. If you are a resident of Rockwall, Wylie, or Royse City and your vehicle was damaged by the recent hail storm, we can help! 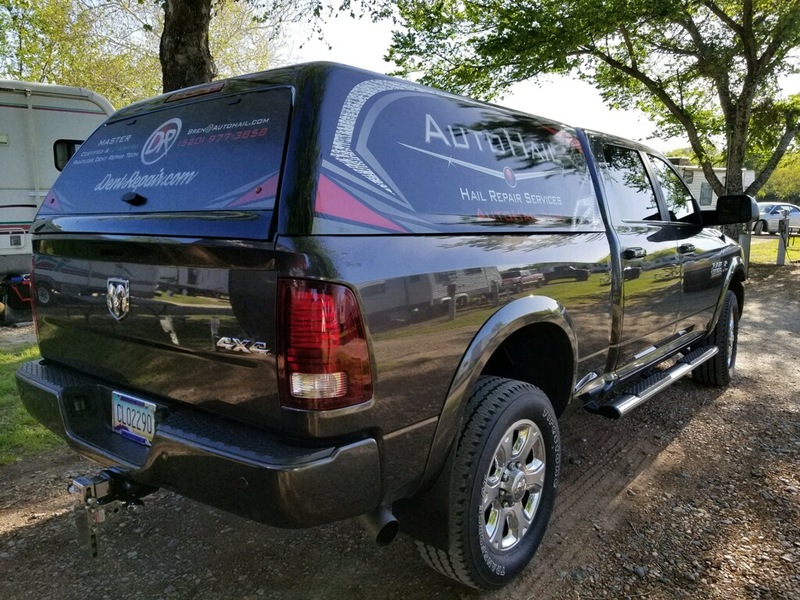 Protecting the long term value of your vehicle is very important but finding a fast, trustworthy, and reliable company who specializes in hail dents can be frustrating. Luckily AutoHail has you covered! 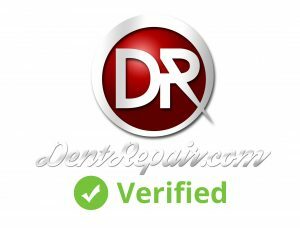 With our state of the art tools, advanced techniques, and award winning customer service it’s no wonder our customers are calling us the best in Hail Repair company in Rockwall, Wylie and Royse City Texas. No job can be completed without the proper tools and we only use the latest technology. We choose only the best equipment on the market to guarantee your vehicle is getting the treatment it deserves. 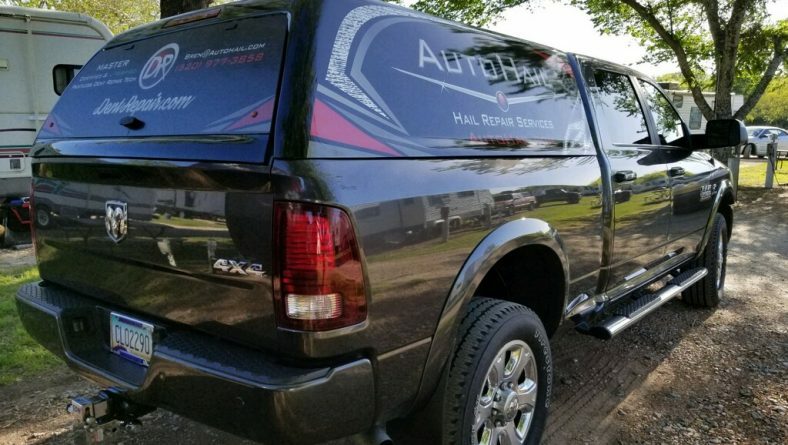 Our tools give us an advantage over the competition by allowing us to fix any type of hail damage. 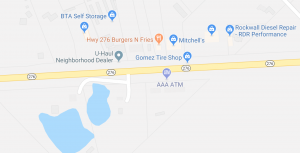 We spent the last two years helping the residents of Wylie Texas after they suffered some of the largest damage in US history. 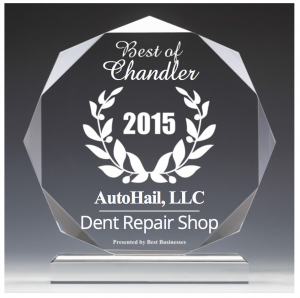 This makes Auto Hail the best choice for any hail dent repair situation in Rockwall, Wylie and Royse City! Here at Auto Hail we treat PDR a little differently from a job. To us it’s an art. Every job and every client brings a different experience keeping our work unique and exciting. Over the years we’ve received more than a few awards for our customer service but we prefer to let our work speak for itself. 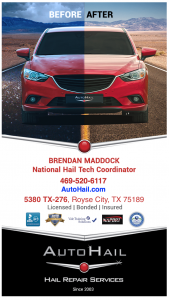 Call 800­-798-HAIL (4245) to find out what makes Auto Hail the best in Rockwall and Royse City, TX for hail repair!